The High Line is an elevated freight rail line that has been transformed into a public, free park. It is located to the west of Manhattan, running from Meatpacking District's Gansevoort Street to West 34th Street. The High Line Phase 3 is the last bit of the conversion. If you do not live in New York City, you may not know what the High Line is, or how important it is to the happiness of New Yorkers. Allow me to educate you a little. You will thank me later. Being a public park, you can expect the New Yorkers to visit it in droves. 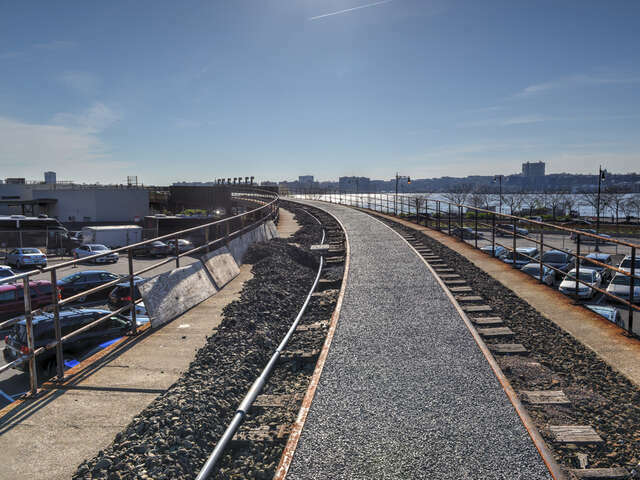 The completion of the High Line Phase 3 was met with so much happiness by those who love outdoors. Guests get free guided tours during the warmer months. The tours are led by the High Line Docents. The docents are highly knowledgeable volunteers who give you an insider perspective on the history, development, design and landscape of the park. Among the most popular activities at the park include; tours and talks, live performances and dances, open air theater, video screening, exhibitions of historic works, meeting contemporary artists and their works and many more. If you are into shopping, you are invited to try the apparel shops, toy shops and paintings shops. You will most likely buy something that you cannot buy in your regular store. Make sure you get a chance to buy the rare paintings, clothes and toys. They will be worth bragging about. There you have it - a place where you can relax and enjoy the New York culture in the open air and in a historic environment. Whenever you are in New York, make sure that this is one of the places you visit. It will be well worth your money. You can click here to view what other travelers are saying about the hotel on Trip Advisor.